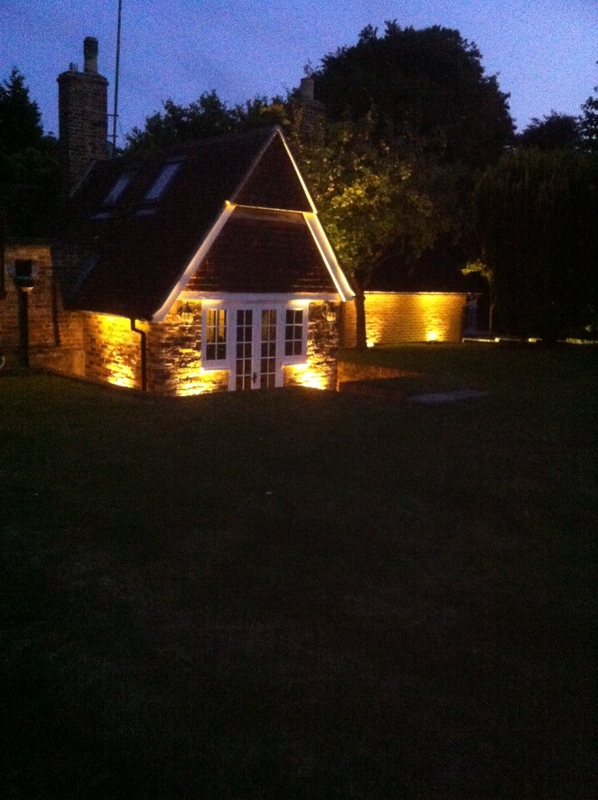 We are experienced in installing external lighting schemes. 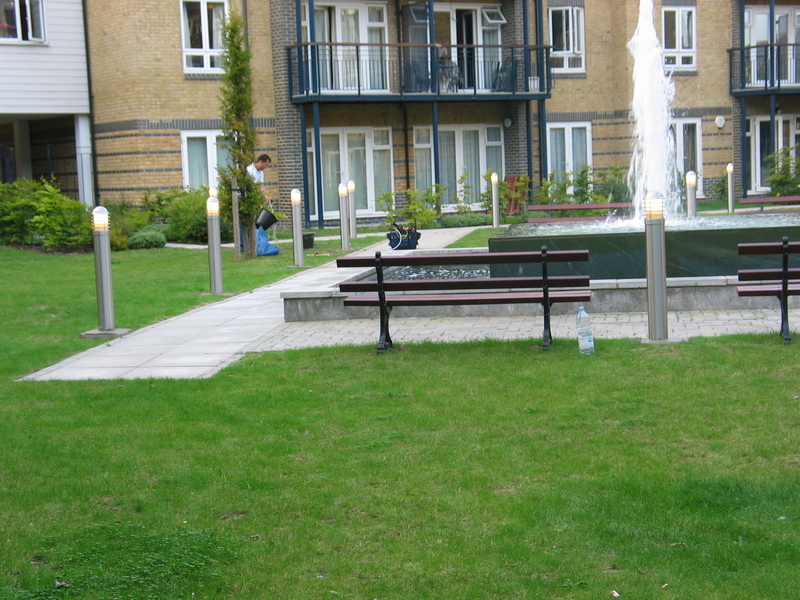 From normal flood lights to perimeter lighting, wall wash lighting (LED) ground spot lights and bollards. Here are a few examples. Lights can be triggered by timers, sensors or remote control. On the left here we installed Collingwood 400mm dimmable wall wash lights. These lights were controlled by 'Light Symphony' wireless lighting system and were either triggered by dusk to dawn sensor, remote control, or by iphone or ipad. The lights needed an LED dimmable driver that was situated just below the units in a small Wiska plastic weatherproof box. Below, we installed Collingwood MR16 spike spot lights. These were wired to a local 12V external transformer. Where cables needed to be extended, we used Wiska's waterproof gel connector. Even after the worst storms and floods in 2013/14, the lights never failed to work. This installation was replacement of bollards that had been vandalised and not maintained correctly. We removed the old bollards and installed new bollards that were controlled by a dusk to dawn sensor. 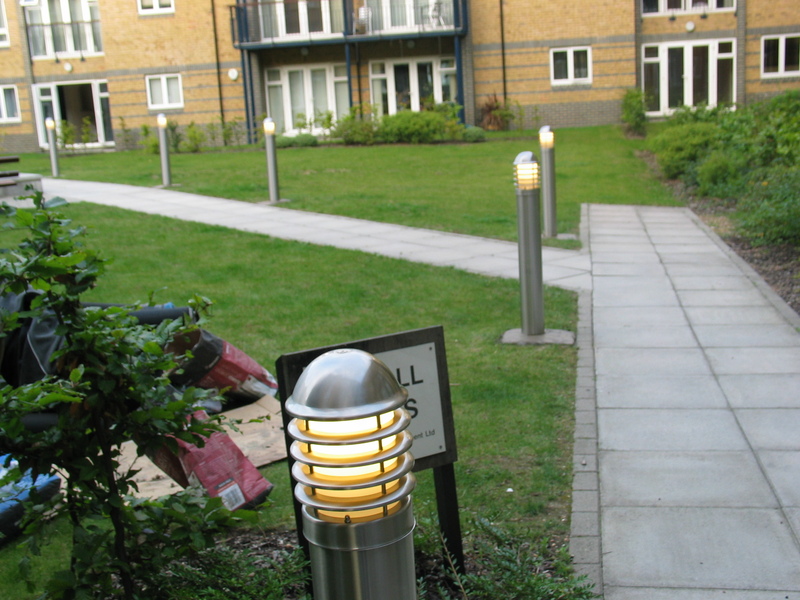 The Stainless steel bollards gave this installation a great finish. 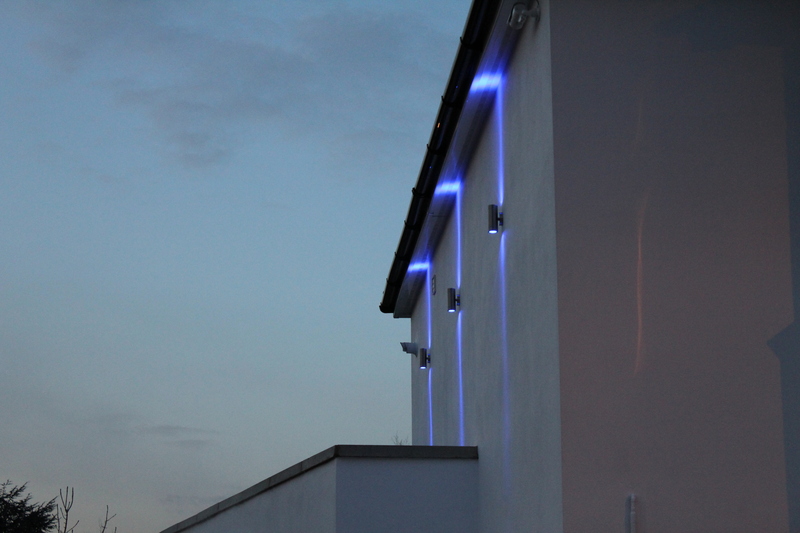 The up/down lighters we installed at this house in Winchmore Hill, North London were to add some decorative lighting to the height of the building. 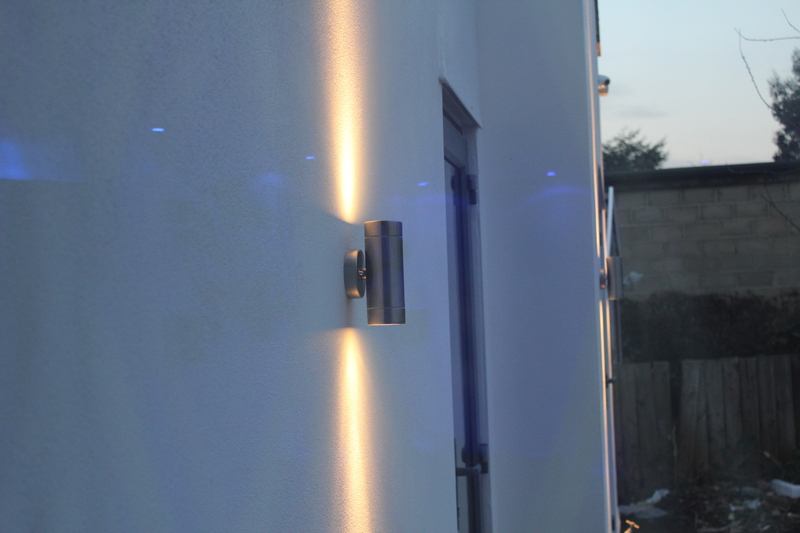 Using blue LED lamps in the fittings, the reflection of light on the wall gives this property a distinctive view. 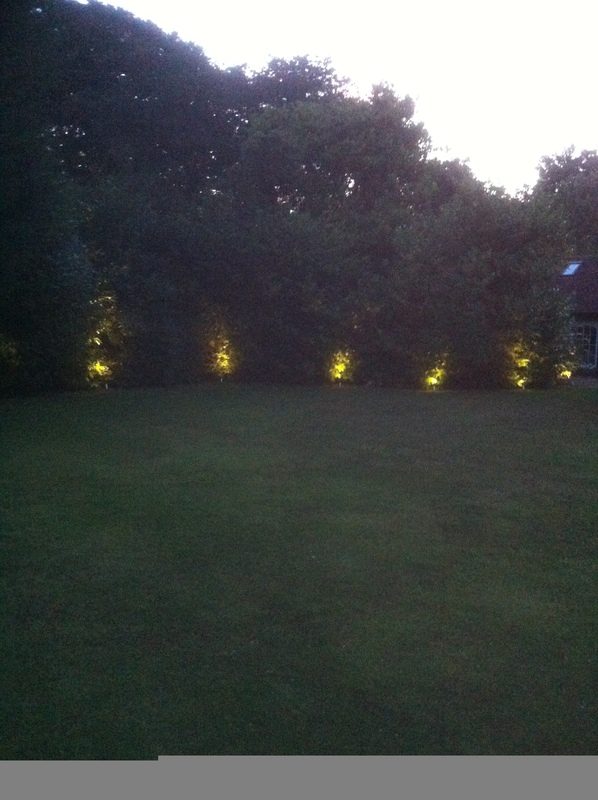 In the rear garden, we installed uplighters with a warm white lamp to give that neccessary light in the garden. 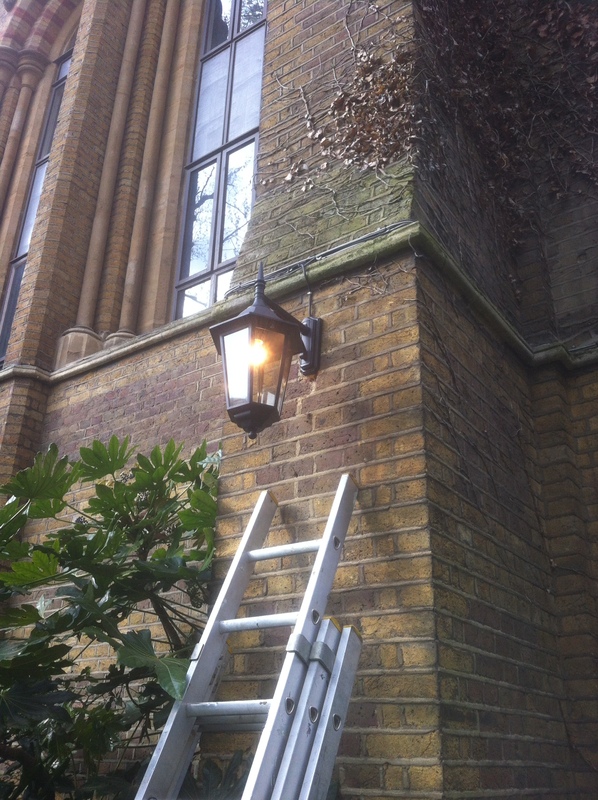 We are installers of all types of External Lighting including Wall Lanterns for Churches and other outside lighting like Bulkeads and Flood Lights for schools. 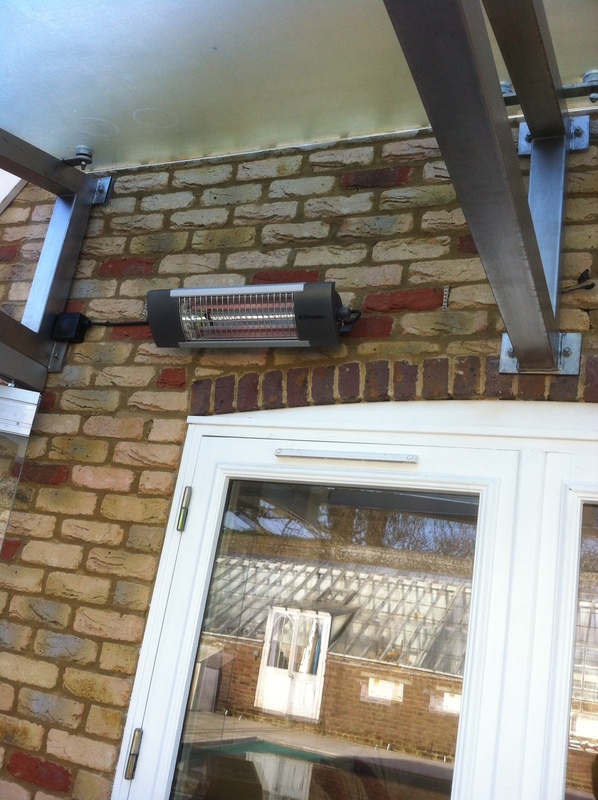 The wall lantern below was installed on a dusk to dawn sensor (photocell) for automatic switching on and off. We Install Dimplex wall heaters. These are triggered by a time lag switch that can be set to switch off after a certain period of time so that the wall heater is not left on. CCTV is becoming a 'MUST' install nowadays. Due to rising amount of crime and also the assurance of recording whats going on outside your front door, more and more customers are installing CCTV. The great thing is that you can live view your cameras on your iphone, ipad, computer or android phone. In most cases, you can have upto approx 5 weeks recorded at any one time. 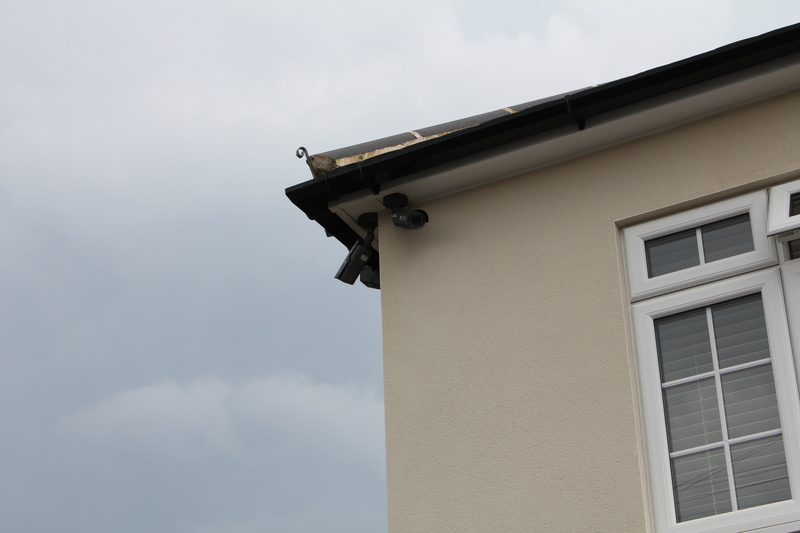 The CCTV recorder will overwrite itself continuously so you will always have the last 4-5 weeks of recordings available. We are installers of Technomate CCTV products.